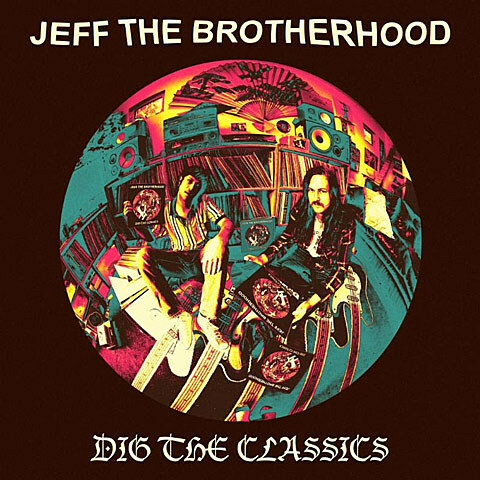 Following 2012’s Dan Auerbach-produced major label debut, Hypnotic Nights, JEFF the Brotherhood are back with a self-produced EP of covers titled Dig the Classics. The band take songs by Pixes, My Bloody Valentine, Teenage Fanclub and more and put their own distinctive spin on them. No track has been released to stream yet, but you can check out cover art and full tracklist below. It’s out September 30 via Warner Brothers/Infinity Cat. Jake and Jamin are about to head out on tour which will keep JEFF on the road through the fall. 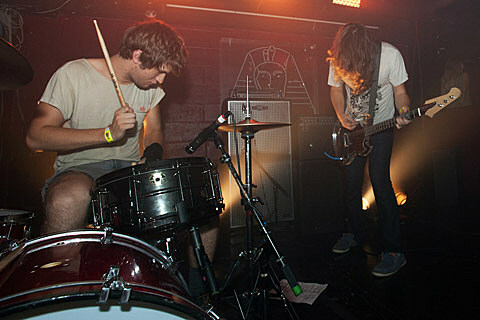 The October leg of that tour is with Diarrhea Planet and hits NYC for two shows: 10/12 at Death by Audio (their NYC spiritual home) and 10/13 at Santos Party House (site of the 2012 BV-presented record release party). Tickets for the Santos show go on sale Wednesday (7/30) at 10 AM. No word on tickets for DbA at the moment.